In 2016, NERC began support for Project MOYA, a major study of methane in the Earth’s atmosphere. MOYA – or Methane Observations and Yearly Assessment – is a major consortium between 14 UK universities and Research institutions, brought together as a NERC highlight project to study methane in the global atmosphere. “MOYA” means ‘wind’ or ‘breath’ or ‘spirit’ in some southern African languages, appropriate for a project focused on methane, part of the breath of the biosphere. Methane, or CH4, is a very important greenhouse gas, second only to carbon dioxide, CO2, in its contribution to human-induced global warming. Its overall warming impact since human industrialization began is more than half that of CO2, but it has had much less attention from policymakers. Molecule for molecule, methane is a much stronger greenhouse gas than CO2 but, in contrast to CO2 emissions, which effectively increase the amount in the air for centuries, methane is only in the air for less than a decade before it is oxidized to CO2. Thus effective measures to bring down methane will have rapid impact – it is a very attractive target for emission reduction efforts. Methane emissions are both natural and human-induced sources. Major natural sources are the great tropical, boreal and Arctic wetlands of the world, including the equatorial Amazon and Congo wetlands, the seasonal savanna swamps such as those in Bolivia, Paraguay, Zambia, South Sudan, etc, and, in summer, the vast wetlands of Canada and Siberia. 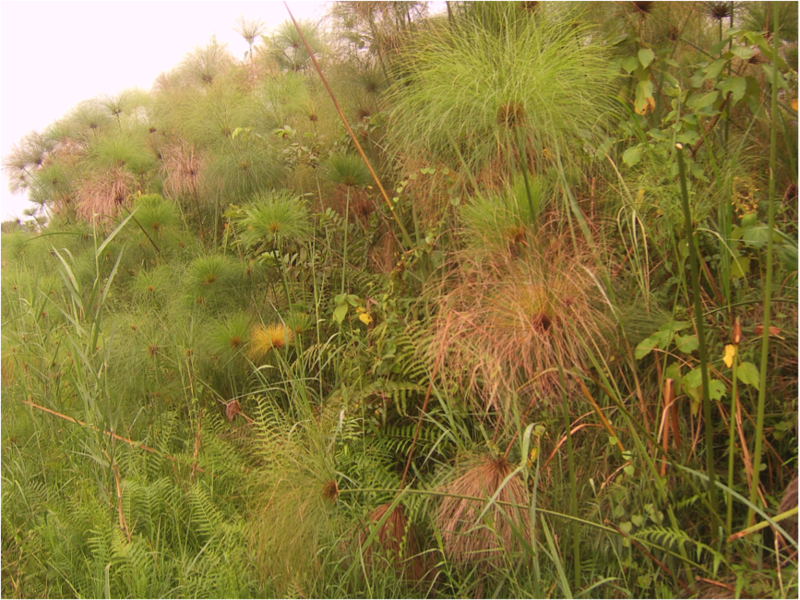 Papyrus swamp, Kajjansi, Uganda. Equatorial swamps are major methane emitters. Human sources include gas leaks from the natural gas industry (gas is mostly methane), the coal and oil industries, and also from biomass burning, as well as waste disposal landfills, and sewage plants. Ruminant animals, which ferment plants in their foreguts, are major emitters – cows, water buffaloes, sheep, etc. (note it’s from the front end of the cow: ‘bovine eructation’ – not much is from the flatulent end!). The main sink of methane is atmospheric OH (water minus a hydrogen) in the air, especially in the brightly sunlit tropical atmosphere a few km above sea level. Soils also removes methane, as does chlorine from sea spray. There is much uncertainty about the methane budget, as we don’t know how much methane is being made. So called ‘bottom-up’ inventories, made by totaling up all the local estimates of emissions, are significantly larger than ‘top-down’ studies made by measuring how much methane is actually in the air. But a great deal of methane is certainly emitted. In comparison to CO2, which has only gone up by a factor of somewhat over a half since King George III ruled Britain and North America, the amount of methane in the air has increased by about two and a half times. Canadian wetland, near Fraserdale, Ontario. 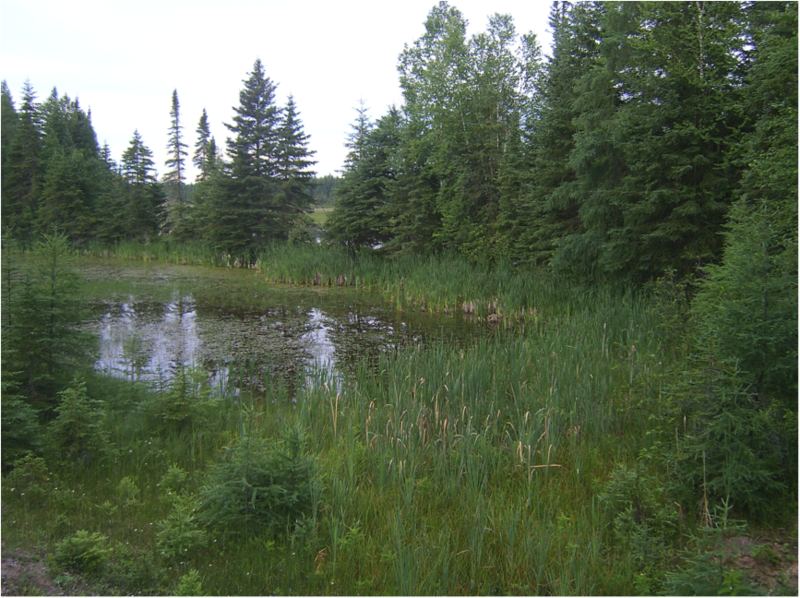 Boreal wetlands like this, often made or enhanced by beaver dams, are very extensive and emit much methane in summer. In the 20th century, methane grew rapidly, but by about the year 2000 it had effectively attained equilibrium in the air, with sources matching sinks. During the rapid growth in the 20th century, the proportion of the carbon-13 isotope in the methane in the air had increased steadily. Now carbon-13 is somewhat richer in industrial gas and gas from fires, while carbon-12 is preferred by biological processes, so the carbon 12:13 ratio of methane is a powerful way of finding out where the methane came from. Methane from fires and fossil fuel leaks is somewhat richer in C-13 (‘heavy’), while methane from swamps and cows is slightly more C-12 rich (‘light’). Atmospheric methane concentrations have increased sharply since 2007, and dramatically in 2014, 2015 and 2016, with especially strong growth in the tropics. Simultaneously, the methane in the air has become more depleted in carbon-13 relative to carbon 12, which implies that the cause of the growth is not emission of methane from fossil fuel industries such as natural gas or coal, nor is it emitted from biomass fires. Methane’s growth is now so significant that is threatens to make it much more difficult to keep global warming below the 1.5oC goal and 2oC target of the United Nations’ Paris Agreement signed in 2015. We do not fully understand why methane is growing so fast. It may be that tropical wetlands are emitting much more methane? Or perhaps tropical cows are breathing out more? Or has the largest methane sink, which is atmospheric hydroxyl, changed so that destruction of methane has reduced? 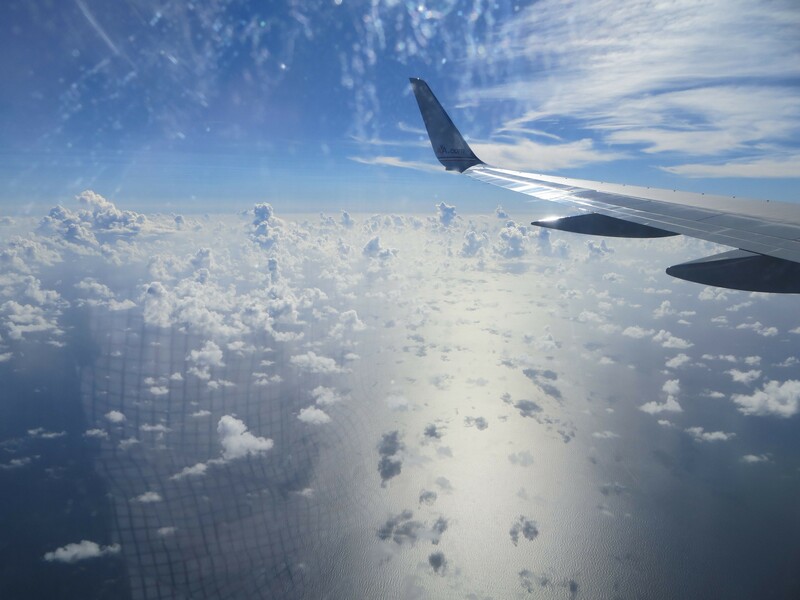 The methane kill zone, in the moist tropical mid-troposphere, where the main sink, OH, destroys methane. Project MOYA is NERC’s ‘Highlight’ study, designed to answer some of the questions around methane. The focus is the Global Methane Budget – finding out methane’s sources and sinks, and what controls its growth. The 14 partners include Univ. East Anglia, Univ. Exeter and Plymouth Marine lab, British Antarctic Survey, Univ. Manchester, Univ. York, Univ. Leicester, NERC Centre for Ecology and Hydrology, Open Univ., Univ. Aberdeen, Univ. Leeds, Univ. Bristol, Univ, Cambridge, and the National Centre for earth Observation and Univ. Edinburgh. The project is led by the Earth Science Dept at Royal Holloway, Univ. of London. It is a follow-up to NERC’s recent highly successful MAMM project, studying the methane budget of the Arctic. There are various parts to MOYA – observation, field process studies, and computer modelling of the global budget. Better Observations are needed to derive estimates of emissions. The project will support a wide observation network for methane and its isotopes. Continuous stations will be at Kjolnes (Norway), Weybourne, Jersey, NERC ship RRS JC Ross, Cape Verde, Ascension, Falklands, Halley Bay, and Hong Kong, with associated stations in Canada, Spitsbergen, Bolivia, South Africa, India, Rwanda and Malaysia. Flask or bag sampling (for methane, 13C and D/H isotopes) will also be undertaken at these stations and at a number of continental stations in S. America, Africa and S, SE and E Asia, with offline analysis in the UK. In addition, the UK FAAM aircraft will carry out flights across the Atlantic tropics, from Azores to Cape Verde to Ascension. In parallel to the observational work, field campaigns will be carried out to study emissions hot spots. Field campaigns will be undertaken in tropical wetlands in Amazonia, Africa, India and SE Asia, and in the great savanna grassland regions where intense seasonal dry season biomass burning occurs. Land surface modelling will also be improved, so we have a much better understanding of which types of plants grow where, and why. Work will also be carried out to identify industrial emissions, and develop ways of reducing them, to help the Paris Agreement reach its target. To interpret all these data inputs, MOYA will also support major computer modelling studies, to work out how much methane is being emitted in each region and across the planet as a whole, to test and improve the top-down and bottom-up emission estimates, and to try to find out why methane is increasing. Nisbet, E. G., et al. (2016), Rising atmospheric methane: 2007–2014 growth and isotopic shift, Global Biogeochem. Cycles, 30, doi:10.1002/ 2016GB005406.